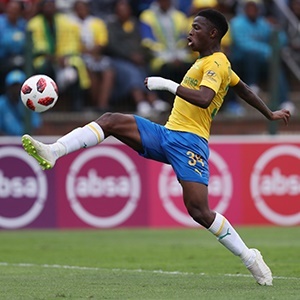 Cape Town - Mamelodi Sundowns forward Phakamani Mahlambi believes Al Ahly do not like playing in the afternoon and the Brazilians could use this to their advantage. Sundowns are set to take on the Egyptian giants in a CAF Champions League first leg quarter-final on Saturday at the Lucas Masterpieces Moripe Stadium in Pretoria. Nonetheless, Mahlambi, who previously played for the Club of the Century, takes the view that hot conditions could prove to be a key advantage in the clash. He told reporters: "I think it's because of the weather conditions. In Egypt it's so hot, so they can't play around 15:00 or 16:00, because they normally play at 20:00 or 21:00, just to accommodate the players. "We can't really say it's an advantage because it's a game of football, everything can just change in a second. "Is it an advantage, but I think if we use that wisely, getting them tired first and then we score goals, I think it's going to work out. "They are more stable and they are capable of doing miracles, I've seen it. I just hope we will manage them and get the result." Kickoff in the much-anticipated encounter is at 15:00 with the return leg taking place on April 13 in Suez, Egypt.